* The future direction of convergence of communications. 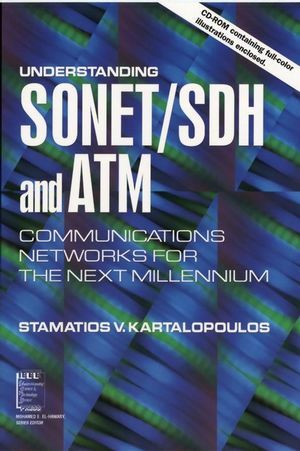 About the Author Stamatios V. Kartalopoulos is currently on the staff of the Optical Networks Group of Lucent Technologies, Bell Labs Innovations, formerly known as AT&T. His research interests include ATM and SONET/SDH systems, ultrafast pattern recognition, IP and DWDM, access enterprise systems, local area networks, fiber networks, satellite systems, intelligent signal processing, neural networks, and fuzzy logic. He holds several patents of which six patents (and six pending) are in communications and optical communications systems. Dr. Kartalopoulos is the author of Understanding Neural Networks and Fuzzy Logic (IEEE Press, 1996). He has published widely on the subject of networks and optical communications systems. He represents the Communications Society to the Technical Activities Board (TAB) New Technology Directions organization, and is a member of the IEEE Press Board. He has also served as guest editor of the IEEE Communications Magazine and as an IEEE associate editor of the IEEE Transactions on Neural Networks.